The no. 2 seeded Novak Djokovic beats Australia’s Bernard Tomic 6-2, 3-6, 6-3, 7-5 to reach semi-finals at Wimbledon. 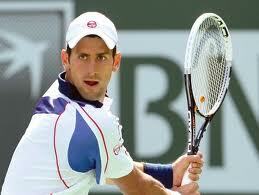 It was the third time in Djokovic’s career to reach the semi-finals at the All England Lawn Tennis Championships. Tomic, the youngest quarter-finalist at Wimbledon since Boris Becker in 1986, made a string of basic errors but out of the blue he hit back in the fourth set, whipping a ferocious forehand down the line to seal another break. The 24-year-old Serb rediscovered his consistency and earned himself two match points in the next game, the first of which he converted when Tomic netted a ground stroke. It was the first time the two met in a competitive match after they became friends and practicing together. Meanwhile, six-time Wimbledon champion Roger Federer was defeated by Jo-Wilfried Tsonga of France 3-6, 6-7 (3), 6-4, 6-4, 6-4. Federer barely looked challenged while winning the first two sets against the 12th-seeded Frenchman. But the Swiss star, who had been 178-0 in matches in which he had won the opening two sets at a major tournament, was broken one time in each of the last three sets. The third seed’s defeat was the first time he has lost a grand slam match having been two sets up. 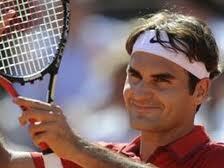 Federer was helpless to stop Tsonga’s momentum with the Frenchman laying into every stroke with all his might.